For centuries Bethlem Hospital was known for the origin of the word "bedlam", meaning a scene of general uproar and confusion. But now it is renowned for the artwork created by its patients. Set within 270 acres of ground with bluebell woods and an orchard, The Bethlem Royal Hospital, in the London Borough of Bromley, provides specialist services for people with mental health difficulties. As part of their therapy, patients are offered the chance to work in the hospital's art studios, and in 1997 The Bethlem Gallery was established. Now, 20 years on, some patients are professional artists and with so much talent coming out of the hospital there is a three-year waiting list for a solo exhibition. To celebrate the anniversary, 15 artists are exhibiting their work in the It's How Well You Bounce show which explores coping with adversity against society's expectations that people should just "bounce back". 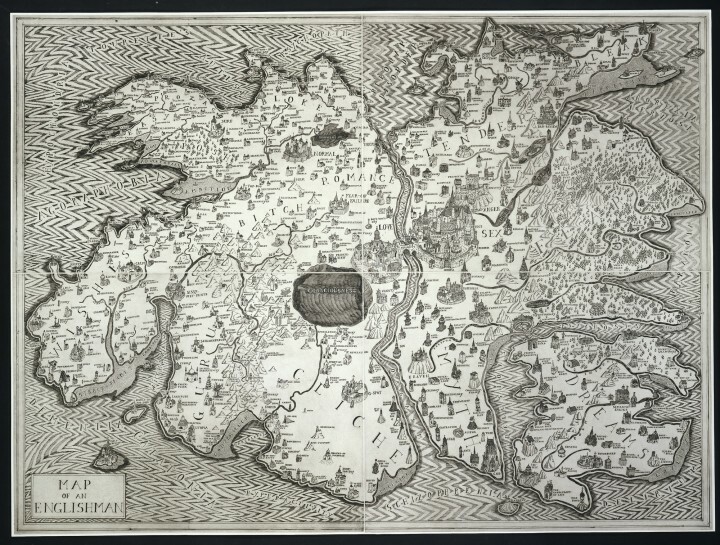 Artist Grayson Perry is the patron of The Bethlem Gallery, and has contributed a piece of work - Map of an Englishman - to the exhibition. The "psychogeographic" piece explores his mind with two areas of the map which resemble the two halves of the brain. Instead of locations, there are behaviours and psychological states such as areas called Narcolepsy and Cliché.